I’ve shopped at Pictureline in Salt Lake City frequently – probably to my bank account’s chagrin. So when I saw they were giving away a Canon 5D Mark III on their Facebook page, I had to enter. I have shot Canon for almost a decade and am a big fan on them. So, I thought many of you might be interested in entering, too. 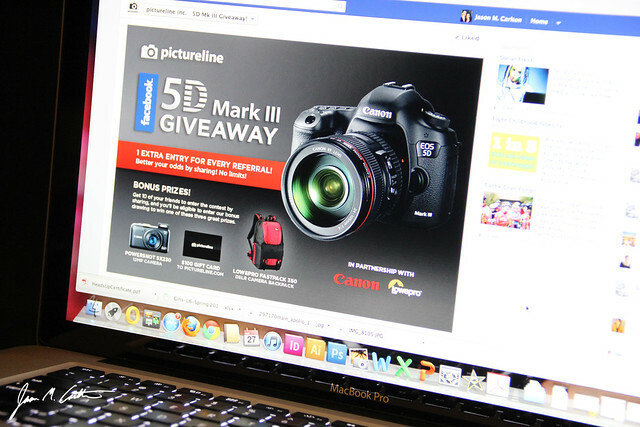 Click Here to visit their Facebook page tab for the giveaway and enter for your chance to win the Canon 5D Mark III camera. I know it’s coincidental that I’m posting this on April Fool’s Day, but this is no joke. Good luck to everyone, and be sure to share this with your other photographer friends.